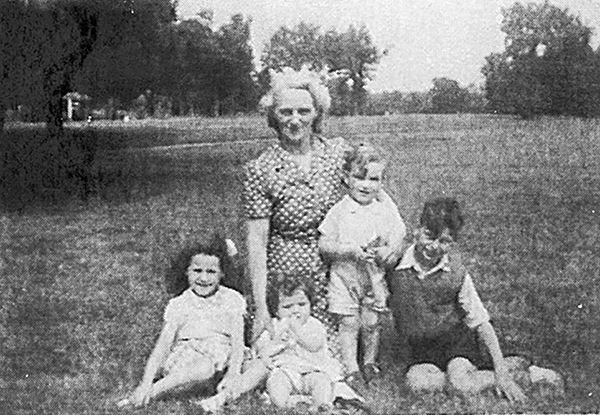 Pictured: My great grandmother with their children in Herbert Park, circa 1947. Aoife is an aspiring writer and has contacted NewsFour through her parents. We were delighted to include this piece that showcases Aoife’s talent. Hopefully we’ll see more of her published work in the future! Herbert Park is a park located in Ballsbridge. I would hazard a guess that most people living in the NewsFour area have been to, or at the very least heard of it. It has an area of 32 acres, is split into two halves, divided by a road and has a one–mile perimeter. Children today come to feed the ducks and swans, use the playgrounds and enjoy the walk, which is especially beautiful in the spring when all the cherry blossom trees are in flower. On its south side, the park is also bounded by a beautiful, serene stretch of the River Dodder. Located nearby is the Herbert Park hotel. There are football and GAA pitches that regularly host the matches of the local teams. But there is much more history to Herbert Park than you might think! The story goes that it was inherited by the 11th Earl of Pembroke in 1816, and in 1903 it was opened to the public and named Herbert Park, after the Earl’s family name. One of the biggest events held there was the 1907 International Trade Exhibition, which exhibited the particularly impressive aspects of Irish trade. It went on for six months and attracted many Irish and foreign visitors. It seems that the Irish and British stands were separated at the time as a longing for Home Rule was becoming more obvious. The bandstand and pond were created especially for this exhibition, and are still enjoyed by children today. There is a huge variety of nature in Herbert Park, from the ducks in the pond to the daffodils that grow in early spring. There are lots of trees. Cherry blossom, horse chestnut and oak, to name a few. The tulips and snowdrops are beautiful in spring, and there are always daisies and dandelions around. Pictured: My great grandfather Joe MacSweeney (known as Joe Sweeney) in Herbert Park. 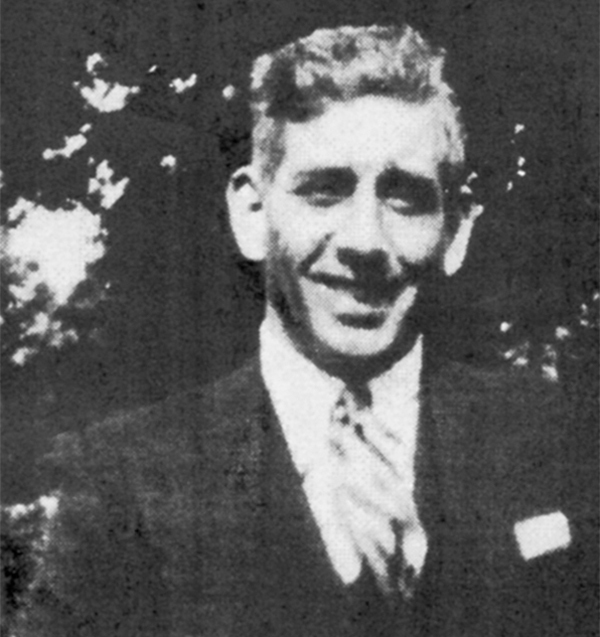 He worked in the Dock Milling Company in Barrow Street. If your family lived in the local area for some time, then the chances are that your parents, grandparents and maybe even your great grandparents visited Herbert Park on a regular basis when they were children. They probably went to the playground at the back, near the sports pitches and, as far as I know, to the roundabout, slide, barrel and some of the swings which date back to the mid-19th century. Both sides of my family have visited for four generations. My sister and I regularly visit to cycle, walk our dog and use the playgrounds; my parents both visited when they were children and likewise with my grandparents and my great-grandparents. I am sure that many of you have interesting childhood memories of Herbert Park such as this one. 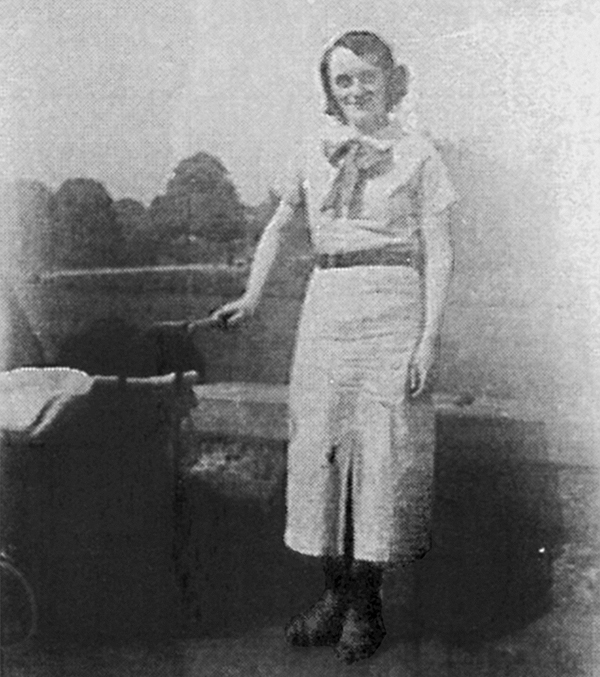 When my grandmother, Marie MacSweeney, who grew up in Percy Place, was seven years old, she tagged along on a trip to Herbert Park with her older brother Gerard who was twelve, and his friend Seamus McDonald. They were playing on the south side for a while, and then moved to the north side. All of a sudden, it started lashing rain. Then the thunder and lightening started. Gerard and Seamus sprinted off, but poor Marie couldn’t keep up with them! She ran under a tree and stayed there, terrified, for the remainder of the storm. Pictured: Another moment from Herbert Park. Afterwards, she ran home and, to her surprise, she was told that under a tree was the most dangerous place she could have been! Her parents (my great-grandparents) were just relieved to have her back. I’m guessing that Gerard was in pretty big trouble that day! Another memory, from my mother Simone Cahill, is that when she was a child, she went to play in Herbert Park on her own. One time, she didn’t come back all day. There were loads of people searching the park, but she was nowhere to be seen. When they eventually found her, she was probably in deep trouble! Also, a memory from my grandfather, William Cahill is that once he was sitting on a bench with his wife, Margaret, my grandmother, my aunt and uncle, Bryan and Louise and my mother when the string on the kite he was flying unravelled completely and the kite went up so high that they couldn’t even see it. It took them ages to get it back down! Herbert Park has been an enjoyable and historical place to be for many years, and still is today. I hope it will remain so.